Posting late for this one, I've had a long day! But here is my Day 4 for Halloween week. 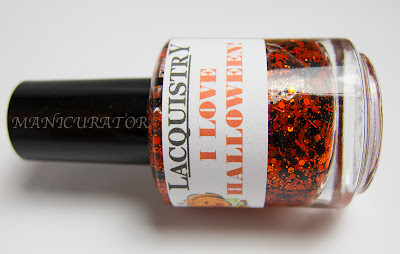 I chose to use the wonderful Lacquistry's I Love Halloween. Jenna's dedication to her craft and customer service are the absolute best and I am never disappointed with a purchase from her Etsy shop. I feel lucky I snagged this one because now it's gone! Check it out!! This is one coat over 2 coats of Illamasqua Load. I had to fish for those little hearts!! Fish like mad for the black ones to be honest. But they are soooo awesome. 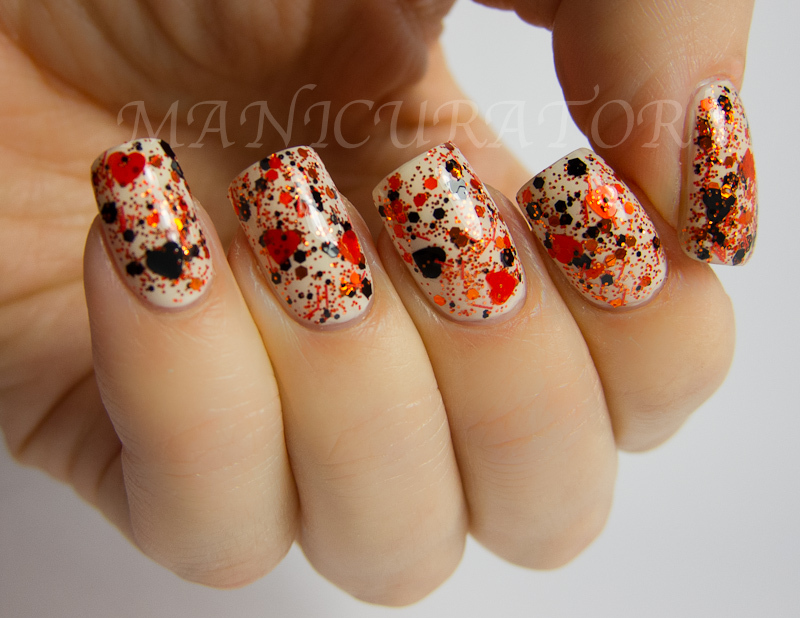 The orange and black hearts make this polish for me. I just love them. I got 3 of the black out for the left hand and 2 of them for the right hand. Seven orange on the left hand and 6 on the right hand, they seemed more abundant, or didn't cling to the walls as much as the black. 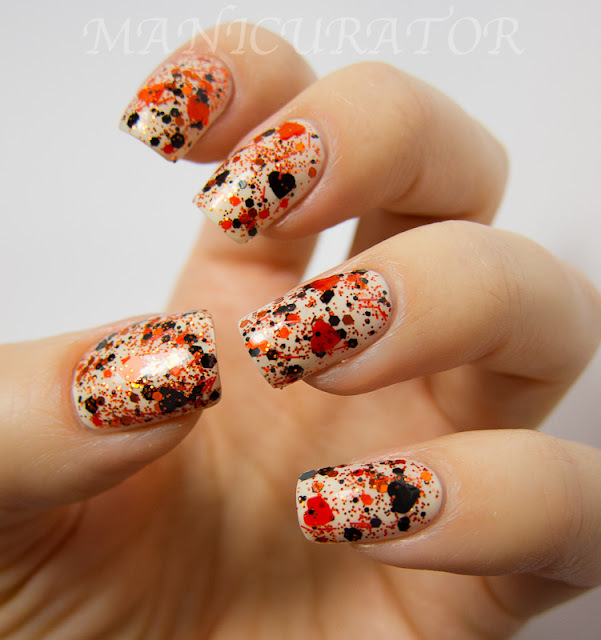 Love the hearts in autumn colours! I love how the hearts aren't super obvious but still super cute! Super cool, love the colours! Seriously georgeos. 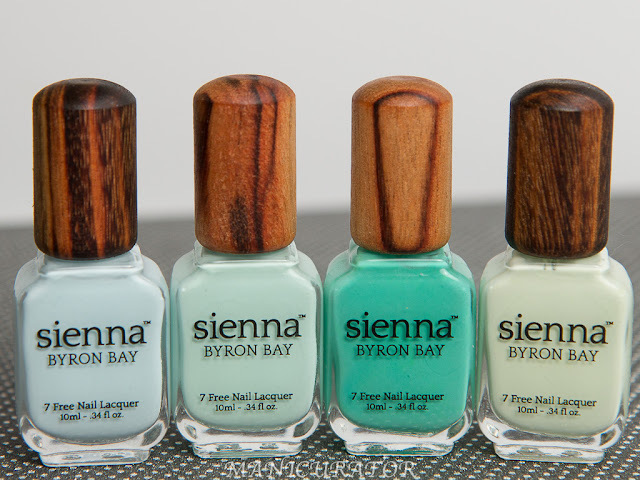 Your nails are perfect! Oh awesome! 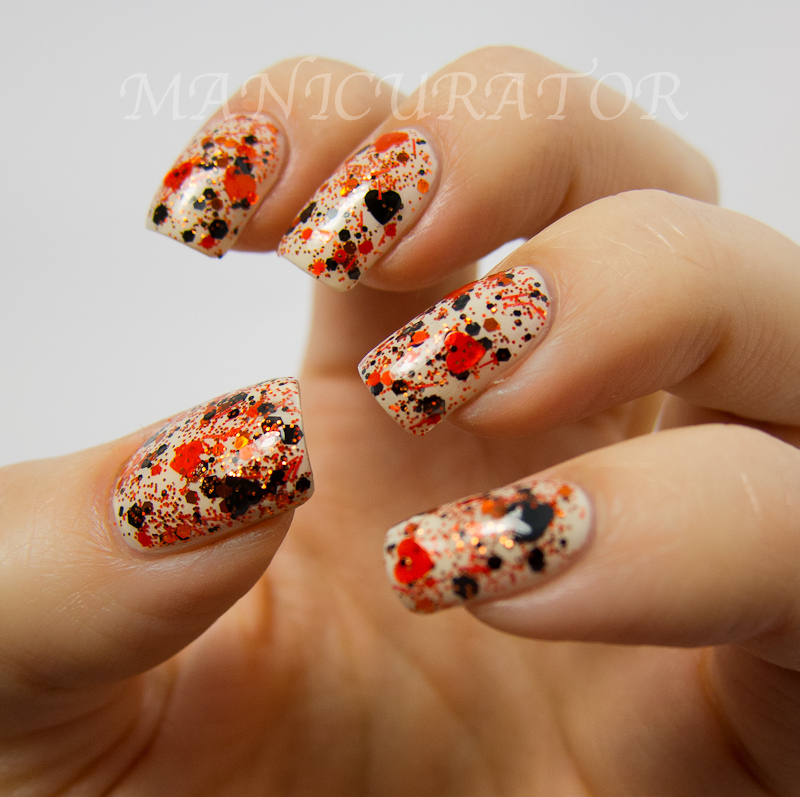 I love those warm autumn shades. 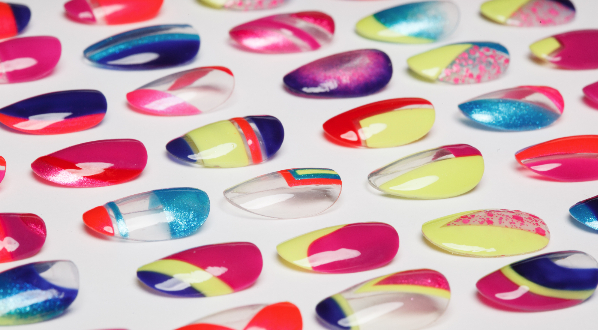 Wow this is outstanding...instant nail art! Jenna is amazing! Oh my gosh! 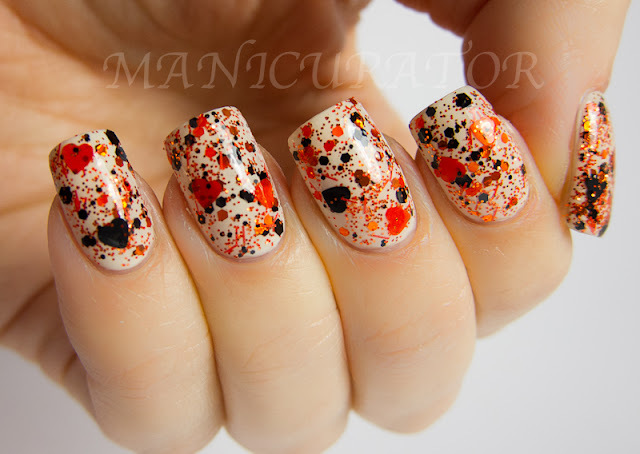 When I first saw this, it looked like splatter art with the added hearts. 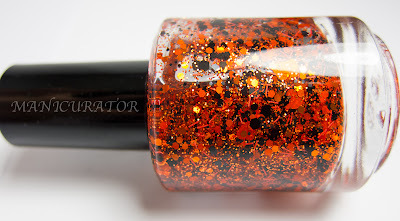 I can't believe this is from a bottle! Amazing!! This is so beautiful! I wanted to nab this one but I waited too long and it sold out =( I shall admire your pictures instead! This is so awesome. It was definitely worth the time you put into fishing for the hearts. that is gorgeous!! I love the hearts! I'm the same exact way with hearts - so sad I missed this one! 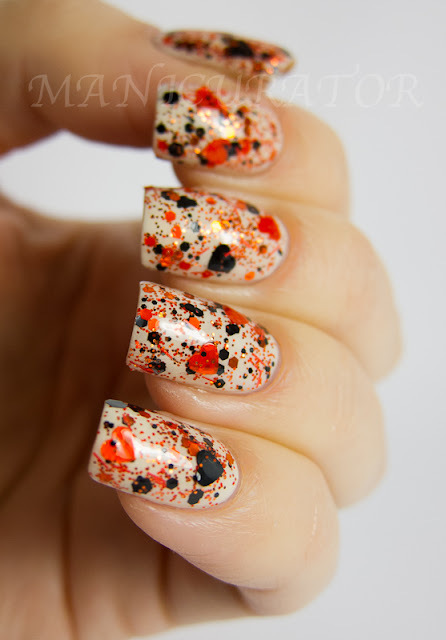 Wow, this is pretty - very much Halloween but not cliched. Love it! This is gorgeous!!!! And your hands and nails are pretty too!